Police have confirmed that one of the suspects in the murder of Thoriso Themane is the son of a former policeman. He is one of five suspects, aged between 15 and 16, who have been arrested in connection with Themane’s murder. The suspects will appear in the Polokwane Magistrate’s Court on Thursday amid tight security. Themane was hacked to death allegedly by a group of school boys in a city park in Polokwane on Saturday night. A video of the incident has been circulating on social media and in it the son of the former policeman claims to be untouchable because of his dad. On Friday, there will be a march in Polokwane to demand justice for Themane. National Police Spokesperson Vish Naidoo says nobody is above the law. A criminology and security sciences professor at the University of South Africa, Annie Hasselink, says cases of violent crimes committed by minors are steadily increasing. Hasselink says about 100 minors are serving prison sentences at the moment. 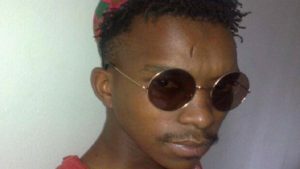 The post All eyes on Themane’s murder case appeared first on SABC News – Breaking news, special reports, world, business, sport coverage of all South African current events. Africa's news leader..